From the leading 2012 nominees to the big winners of the past, here's how the figures stack up. The cast of AMC's "Mad Men"
AMC's "Mad Men" and FX's "American Horror Story" lead the 2012 Emmy field with 17 nominations each. "Girls," the polarizing new HBO series about four twenty-somethings in Brooklyn received 5 nods, 3 of which going to show creator and star Lena Dunham. But a nomination is no guarantee of a win. Just ask Angela Lansbury. Soon after Jimmy Kimmel takes the stage Sunday as host of the 64th annual Primetime Emmy Awards, those numbers will become wins or losses, adding to the haul of some long-running series and leaving more than few first time and return nominees out in the cold. Here's a look at how the numbers stack for the 2012 race, and a glance back at some of the winning shows and actors that took home a statue or 37, and kept us tuning in year after year. 7 - For the "Modern Family" cast: Show leads Jesse Tyler Ferguson, Sofia Vergara, Eric Stonestreet, Ty Burrell, Julie Bowen and Ed O'Neill are all up for a statue along with guest actor Greg Kinnear. 7 - Actor/comedian Louis C.K. earned that number for his multi-hyphenate work. He's up for best actor, best writing and best directing for FX's "Louie," and his comedy special "Live at the Beacon Theater" also earned four nods. 2012 Nominations for "The Office" and "House"
0 - It's the first time the crew from Dunder Mifflin have been shut out since the sitcom debuted in 2005 and the first time "House" has ever failed to receive a nod. That "House" wrapped its eighth and final season in May and star Hugh Laurie is a six-time Emmy bridesmaid for his role as Dr. Gregory House just makes it all the more painful. 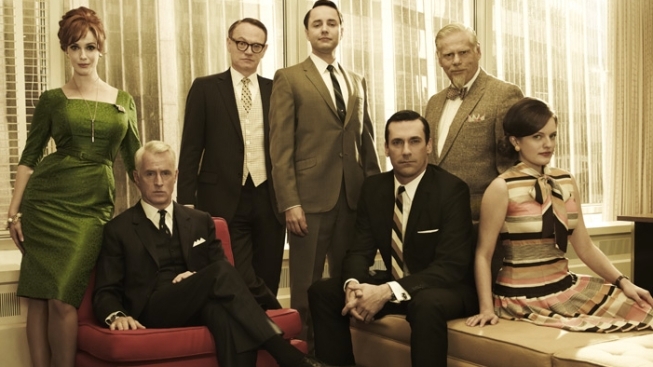 Percentage of AMC's 2012 Nominations Belonging to "Mad Men"
50% - 17 of the networks' 34 belongs to the men and women of Sterling Cooper Draper Pryce. 156 - "Saturday Night Live" (NBC) Over it's 37-year history the groundbreaking NBC comedy sketch show has won 32 Emmys. It received 14 nods this year.